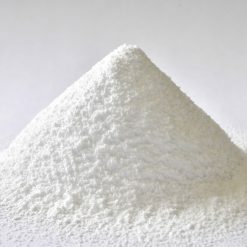 1) Sustained glucose release to maintain a stable energy level over long periods of time. 2) Low risk of a sudden energy decline. 3) Can be used any time of the day as a healthy source of energy for performance enhancement and bodybuilding. Since it has a low GI value of 44, it can be used both as a healthy meal replacement powder (MRP) and weight gainer when mixed with protein powder. 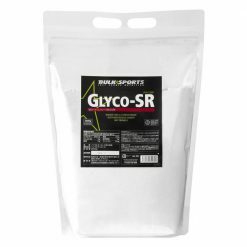 In addition, you can mix Glyco-SR with Biomega 3 supplement and other essential fatty acids to maximize the duration of its effects. The competition won’t be able to keep up. Take 1 scoop (21g) mixed into water, protein shake, or the beverage of your choice. 1) Mix with protein powder, EFA, and EAA to make a healthy MRP. 2) Mix 2-3 servings with 40g of protein powder to gain more lean muscle. 3) Take 2 servings 1 hour before high intensity exercise to maintain energy and stay focused. 4) Mix with Bulk Sports MD for a great post-workout carbohydrate supplement. We recommend that you take before or during exercise as a nutritious supplement.